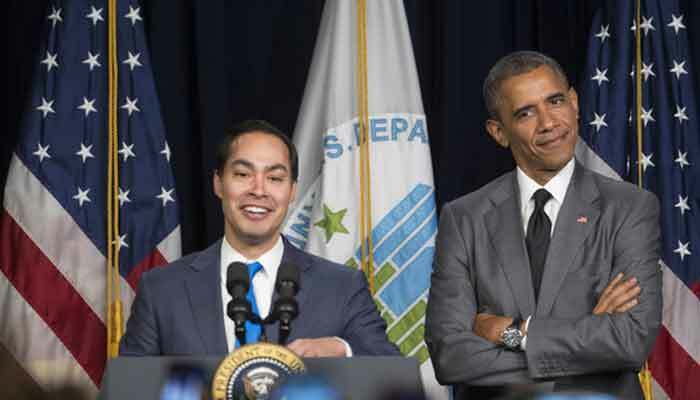 San Antonio: -Former mayor of San Antonio, Texas and Obama-era cabinet member Julian Castro is expected Saturday to launch his bid to become the nation´s first Hispanic president, scheduling his announcement in a border state central to America´s immigration debate. Castro´s strong oratory skills, experience as Barack Obama´s housing secretary and as mayor of the nation´s seventh largest city, not to mention his telegenic charisma, could help propel the Texas native into the top tier. He would also become the third prominent Latino presidential candidate in four years, after Republican senators Ted Cruz and Marco Rubio fought Trump for their party´s nomination in 2016. Castro´s candidacy could also help revive Democratic enthusiasm among Latino voters, who supported Hillary Clinton but at a lower rate than Obama. Trump made immigration a flashpoint of that race, and it remains among the nation´s most contentious issues. The US government remains locked in a partial shutdown, soon to begin its fourth week, over Trump´s demand for $5.7 billion in border wall funding. Castro´s national profile took off in 2012 when he became the first Latino to give a keynote address at the Democratic National Convention. Four years later he was a finalist to be Clinton´s running mate. "I´ll tell you and I´ll tell the world what I´m going to do," he said this week on MSNBC. But standing out in a crowded field will be "difficult," Grayson added.